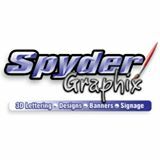 Spyder Graphix is a complete custom sign shop. We have over 30 years of sign crafting experience. From the initial site check & design to the manufacturing & installation, Spyder Graphix offers a full spectrum of services & products to produce your signage projects on budget and on time.